I will read anything this woman writes, which is the reason an untitled book with no description makes my list of my most anticipated books. Kate Morton is my favorite author and I got to meet her a few years ago at a signing for The Distant Hours. She’s lovely and so interesting to hear in person! Her books all fall within similar parameters: adult dual timeline novels set in England or Australia, filled with lush description, vibrant characters, gothic old houses, and lots of tragic family secrets. That’s why I know I’ll love her fifth book just as much as I loved her first four. All you need to know about the book is this: it’s a modern day retelling of A Tale of Two Cities WITH MAGIC. AND MAGIC RINGS. AND DOPPLEGANGERS. And I’m sure the hallmark humor, heartbreak, and swoon of Sarah Rees Brennan’s other books. The Lyburn Legacy is a favorite and I’m hoping Lucie will be as amazing a main character as Kami Glass! I was blown away by The Winner’s Curse and I need the sequel desperately. That last chapter was a doozy! I love love love that it’s a fantasy book that feels more like historical fiction with Greco/Roman influences, I really enjoy the political tension, I love the gorgeous writing, and the chemistry between Kestrel and Arin? Titanic-sized ship. That. Last. Line! Stolen Songbird was one of my favorite books of 2014. It was such an absorbing fantasy with a unique troll mythology and lots of action and romance. There’s a hint of mystery surrounding the magic too and it ends in such a badass way. I’m so excited to follow Cecile and Tristan’s adventures in the next book. The Parasol Protectorate is a fantastic series best described as irreverent steampunk meets Jane Austen with vampires and werewolves. That doesn’t even do it justice, but suffice to say it is a hilarious, wonderful, inventive series with lots of action and tea! 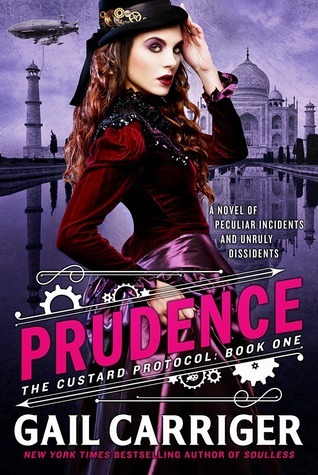 Prudence is the first book in a new series set 20 years later in the same alternate Victorian world. I won’t spoil anything but both old and new characters will appear and I can’t wait to read about more werewolf protocols, vampire dandies, and madcap hijinks in dirigibles! Give me Rowan. Give me Aedion. Give me Aelin Ashryver Galathynius!!!! Seriously though, this series gets more complex, more epic, more brutal, more magical with every book. I LOVED Heir of Fire and I can’t wait to see where things are headed! This is the midpoint of the series so I know more mysteries will arise but I can’t wait to see how Manon and the Blackbeaks figure in. I want Chaol and Rowan and Aedion in a room together!!! I want to see how Celaena evolves. I’m also DYING to know if we’ll meet Ansel from The Assassin and the Desert again! I want to know more about the magic and the wyrd keys and that damn evil king… and Dorian. God. I just want this book so badly!!!!!! I can’t wait to see the cover! Each installment of the Lunar Chronicles has been better than the previous one. It’s amazing how Marissa Meyer is able to weave so many fantastic characters and storylines together and I’m so ready for the explosive final volume! I need my ships to sail, I can’t wait for more of Iko’s hilarious commentary, and I’m excited to finally explore Luna! HAHAHAHA I wish. Don’t have a heart attack, ASOIAF fans, I don’t know anything you don’t know. I do have a theory. I think that George R.R. Martin is further along than he admits publicly and might just troll us all and drop the book when we least expect it. Wouldn’t you? I’m thinking they could announce the release date right around the time Season 5 premieres in April and have the book out 3 months later in July, like A Dance with Dragons. Or they announce the date and cover at Comic Con, just in time for the holiday season. I’m telling you, winter is coming sooner than we think. (I HOPE.) And this damn book better open with Chapter 1 at The Wall. IT. BETTER. Honorable Mentions: Illusionarium, Rook, Lion Heart, Court of Fives, Fire Fall, P.S. I Love You, A Court of Thorns and Roses, Passenger, The Price of Blood, Lady of the Eternal City. YES Winds Of Winter! I mean that ending of A Dance With Dragons had me sobbing in a corner for days (almost). Come on George just give us the book! Tell me about it!! I’m to the point where I can sort of forget about the book coming so it doesn’t drive me crazy all the time…. but gosh I want to read it!!!! Winter is on my list this week too. So excited about reading more from the Lunar Chronicles! Great list! Yes to almost all of these. I need to catch up on the Lunar Chronicles and The Winner’s Curse. I agree with all of your picks. Thanks for posting. Thanks! I also have a $30 giveaway going on, so be sure to check that out. Thanks for reading! You could catch up on Lunar Chronicles right before Winter comes out, then you wouldn’t have to wait so long, lucky Danica :) And The Winner’s Curse was excellent! Hope you read it sometime! Haha! Cute Elf gif! LOVE that movie! Great picks too! Looking forward to Prudence and Red Queen too! Me too, I think I’ve watched Elf 4 times already since November! Haha. And thanks, I’m so excited for Prudence! Feels like we’ve been waiting forever. I’m excited and really scared for The Raven Boys #4. I’m not sure what she is going to do with my beloved characters and I think it will be a heart-breaking ending. Red Queen was great! Very promising start. Tell the wind and fire sounds gooood and I can’t wait for The winner’s crime. Throne of glass #4 and Winter, SO EXCITED. I am curious about their covers too. Oh I’m so curious about the covers! Eep! Hoping we get to see them soonish! Awesome list! I have never read The Throne of Glass series, but I’m hoping to start it this winter. I also can’t wait to read Witch Hunter and Red Queen. 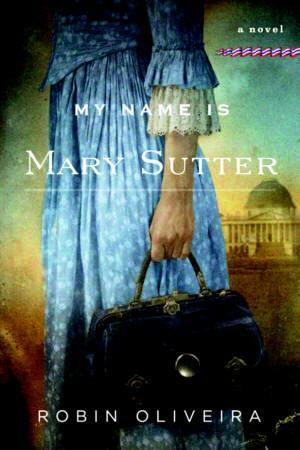 I had no idea Kate Morton had a new novel coming out…love her books, so thanks for the heads up about that! I hope you like it! It’s really great and perfect for reading back to back. :) Oh gosh, I’ve been stalking the internet for Kate Morton info for a year! I’m so glad she has a new book coming, hope we get the synopsis and title soon!! I’m so excited for Winter and Raven Cycle #4, too. And I’m also intrigued for the new Gail Carriger series. I’ve only read two of her books so far, but I want to read MORE! Same, I think Raven Cycle 4 is my most anticipated!! Which two have you read? I read the Parasol Protectorate series (starting with Soulless) a couple years ago and loved it! I don’t think you have to read them first to read Prudence but I’m sure it’ll help. Connections and all :) I love her YA series too. YOU ARE VERY WELCOME. I’m dying to see the cover and to, you know, read it!!!!!!! Oh! Oh! Oh! A new book by Sara Rees Brennan?? I will read whatever that woman puts out! YES! Me too! I really need to read The Demon’s Lexicon. Thanks for commenting, Amber! Awesome picks! Red Queen sounds really good and I love the cover. I really need to read the Winner’s Curse soon before the sequel comes out! Thank you! I know, isn’t the cover fantastic? Do it, The Winner’s Curse was so great!! Lived up to the hype for me. I still have only read book 1 of The Raven Cycle, and I own The Winner’s Curse but haven’t yet read it. I know, I know, I need to get on those! And I also need to read Heir of Fire! Yeesh, I’m behind. And don’t even get me started on ASOIAF. I’m now hanging my head in shame. Haha don’t hang your head in shame! I think your blog name says it all :D There are just so many great books out there! I will say, Book 2 of the Raven Cycle is my FAVORITE and The Winner’s Curse definitely lived up to the hype! Same with Heir of Fire, that series only gets better. As far as ASOIAF, wait for a Book 6 release date at least. Less torture that way ;) But omg they are soooo good! Aww you’re welcome! I’m always glad to add to someone’s overflowing TBR :) TTT is the best for that, isn’t it?! Awesome list! I can’t wait for Winter either! Even a cover reveal at this point will be ok with me! I LOVE that series and I can’t wait for more! Also, The Red Queen looks and sounds AMAZING! Great list! I think I would die of sheer joy if The Winds of Winter was actually released this year. I haven’t caught up with the series yet (I’m intentionally taking it very slow), but I want more so badly! I also need to catch up on the Lunar Chronicles series and start Throne of Glass (how have I not read that series yet?). Out of the list,I have only read The Winds of Winter and enjoyed a lot.I love to try the other names listed here. Victoria Aveyard is a friend of a friend of mine! She grew up in the town next to mine actually. She’s definitely entertaining on Twitter too haha. 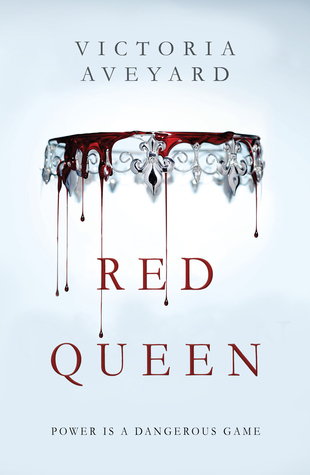 I can’t wait to read Red Queen! Really!! What a small world! Oh yes, she’s very entertaining :D Really excited for Red Queen too, only 2 more months! Fantastic choices! WINTER, of course, is my number one! I can’t believe we have to wait until November. D: I also am really excited for Hidden Huntress (I hope they aren’t separated long!) 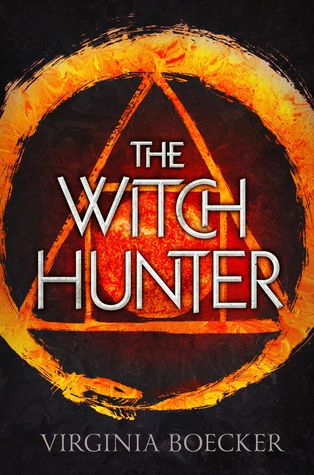 and The Witch Hunter. 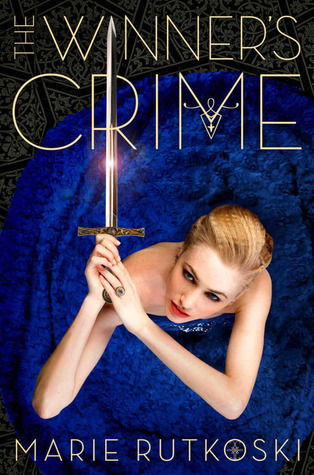 I’m terrified to read The Winner’s Crime – I’d prefer to go straight into the next book, judging by early reactions. That’s my problem; I want to read everything immediately but then the wait is so much longer, especially if there’s a cliffhanger! Gah! GRRM is a troll and I wouldn’t be surprised if your theory is true. I’m guilty of not having read ADwD yet but I’m getting there. Soon. There are just entirely too many books I’m excited about on your Top Ten Tuesday post! (I’m particularly looking forward to Throne of Glass #4, because hell yes, I’m a total fangirl like that.) What I did NOT know about however is the Sarah Rees Brennan novel! I just recently read and fell in love with her Lynburn Legacy books, and I look forward to reading more of her stuff. Haha me too!! It was so hard to narrow down! Oh I can’t wait to see the title and cover for ToG4 too :D Ahh I love the Lynburn Legacy, I’m glad you fell in love too!!! They are SO great and I’m super intrigued by her new book. Can’t. Wait! !